Premium quality beer in a can. 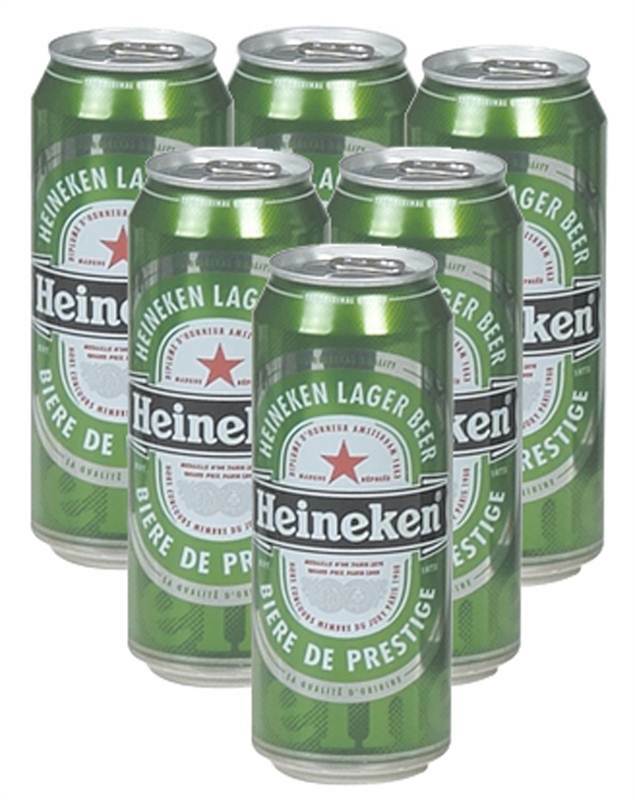 Heineken is full flavoured and refreshing at the same time. Originally Dutch, this pale lager is popular worldwide. Like a lot of other lagers it is made with malted barley, hops and pure water but what makes it stand out is the specially developed Heineken A-yeast that is used in the fermentation process. The beer is force carbonated but other than that, it's made with a totally natural process. Take care of yourself and drink sensibly. This beer contains: Alc 5%.